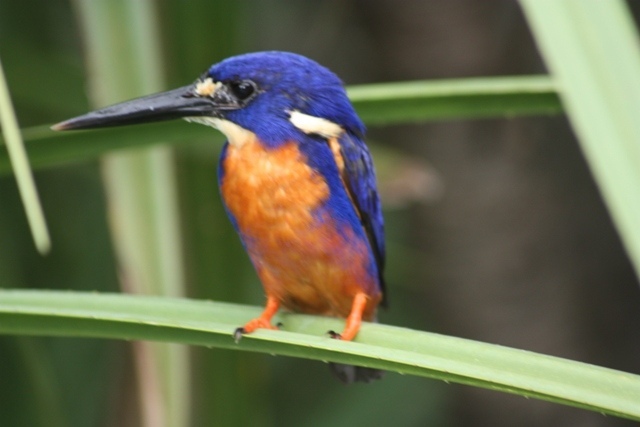 You will be collected from your Darwin accommodation at 7.30am for your private 3 day bird watching tour to Kakadu National Park. We head south along the Stuart highway and into Fogg Dam Conservation Reserve. These wetlands have internationa l significance because of their beauty and natural ecosystems. A variety of fauna may be found here throughout the year as well as a large variety of bird life (230 bird species have been listed in this area by The Australian Bird Atlas). 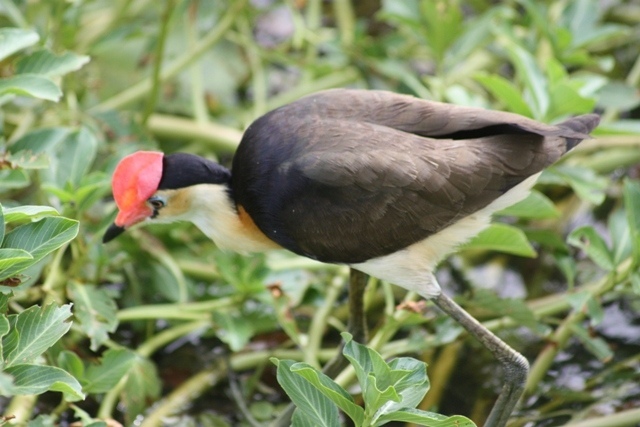 As well as viewing the birds as we drive across the dam wall, we also have the option of taking one of woodlands walks- either the 2.7km Monsoon Forest Walk or the 2.2km Woodlands to Waterlily Walk. 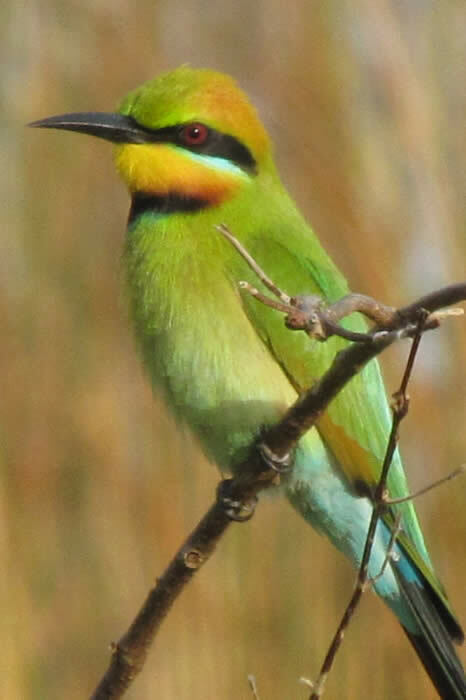 As well as a variety of wetlands birds, such as Brolga, Jabiru, Comb Crested Jacana, Sacred Kingfishers and Royal Spoonbills, we may also have the opportunity to see a range of other birds such as Crimson finches, Double Barred Finches, Rainbow Bee-Eaters and the Rainbow Pitta. We continue along the Arnhem Highway and depending on time and conditions, we visit either Leaning Tree Lagoon or Djukbinj National Park for some further bird watching opportunities. Lunch is provided on the Corroboree Billabong cruise, where, for 2.5 hours, you'll cruise through the Mary River Wetlands, which is teeming with bird life. The wet season transforms the wetlands into an inland sea and replenishes the earth after the long dry and fish, crocodiles and birds breed and flourish. 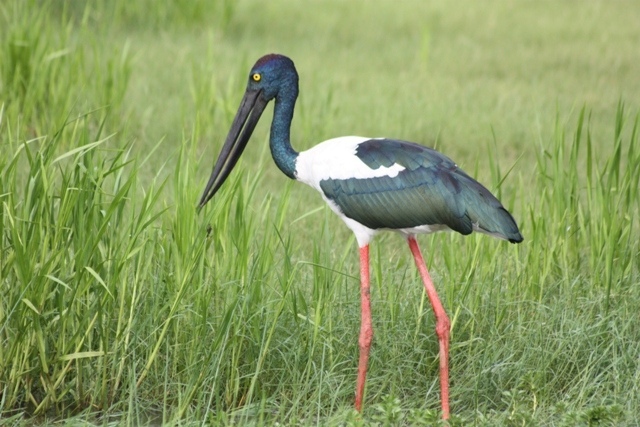 As the flood waters subside, the dry season offers excellent opportunities for viewing birds and wildlife. After the cruise, we make our way into World Heritage listed Kakadu National park. Kakadu is the largest national park in Australia, has some of the world’s finest rock art and a variety of habitats, including floodplains and savannah woodlands. Kakadu's many habitats support more than 280 species of birds, or about one-third of Australia's bird species. Some birds range over a number of habitats, but many are found in only one environment, including the Chestnut-quilled Rock-Pigeon, Banded Fruit-Dove, White- Lined Honeyeater and the White-throated Grasswren, which are only found within or near Kakadu National Park. We continue to the South Alligator Region. The entre river and it's catchment are contained and protected in Kakadu National Park. After we've checked into our accommodation, you have the opportunity to take part or all of (depending on time) the Gungarra Walk, which will take you through monsoon forest, woodlands and alongside a billabong. Overnight accommodation- Aurora South Alligator Kakadu Resort- motel room with en-suite. We start today with a visit to the beautiful Mamukala Wetlands, which are home to an array of wetland birds including thousands of Magpie Geese Wandering and Whistling Ducks, Green- Pygmy Geese and Australian Pelicans. We may also see birds of prey, such as Black-breasted Buzzard and Square-tailed Kite. We can view and photograph the birdlife from the observation platform, where the mural depicts the seasonal changes throughout the year. Depending on seasonal conditions we may be able to take the wetlands walk. Then onto Ubirr in the very north of the park. 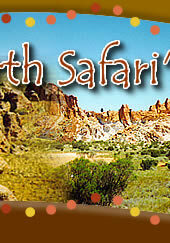 Here we'll walk through galleries of ancient aboriginal rock art, which your guide will interpret. Also learn about bushtuckers and bush medicines before reaching the top of the plateau. Here we can relax and enjoy the panoramic view of the floodplains and Arnhemland escarpment. The escarpment is home to a variety of birds including the Chestnut-Quilled Rock Pigeon, Banded Fruit- Dove, Whistling Kite, Bush Stone- Curlew as well as the short-eared rock wallaby. Our final destination is the Nourlangie area and firstly Nourlangie Rock itself, which is an ancient Aboriginal shelter. 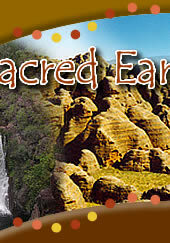 Here we explore the area and the rock art, which you guide will interpret for you. This area is home to the Black Wallaroo (endemic to the Nourlangie area), short-eared rock wallaby, Banded Fruit- Dove, White-Lined Honeyeater and the Chestnut-Quilled Rock Pigeon. Nearby Angbangbang Billabong offers great views of Nourlangie Rock behind the billabong and bird watching opportunities. There is a loop walk you take take around the billabong. 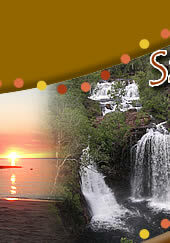 Start today with a sunrise cruise on the Yellow Waters, located at the end of Jim Jim Creek. At least 60 bird species are found in these wetlands, the billabong is home to many saltwater crocodiles and you may see other wildlife such as Water Buffalo. After breakfast in the lodge bistro, we'll drive to Maguk (Barramundi Gorge and waterfall), where we may see Rainbow Pitta and Shining Flycatchers. Termite mounds are abundant along the dirt road that takes us to the Maguk car park and from there, we take a walkthrough a paperbark forest and then along the pandanus lined creek to reach the gorge. Once we reach the gorge and waterfall, we can have a refreshing swim in the plungepool. We depart Kakadu bu the Old Jim Jim Road (conditions permitting) and after crossing over the South Alligator River, we have a look at Black Jungle Springs. We arrive back into Darwin at approximately 5.30pm and you will be dropped off at your accommodation. This tour is only operated as a private charter (sole use of vehicle and driver guide) and is valid for travel from May to October only due to seasonal conditions- please enquire for prices and further details.